Builders GB’s Loft Conversion South West London teams are always busy with building stylish Loft Conversions here is South West London. A Design and Build service and a Full 10 Year Guarantee comes as standard on every new Loft Conversion. Builders GB helps with every step. We offer a range of services from specially fitted Wardrobes to Designer Glass Staircases. Builders GB offer a complete service for every type Loft Conversion. Being a Design and Build Specialist has many advantages. We can do much more than most other local South West London Loft Conversion Companies whilst still being able to keep our prices low. Builders GB are known for building high quality Loft Conversions and House Extensions in every area of South West London. Always using only the best materials available as we offer a 10 Year Guarantee. Our Lofts are built quickly as all the materials needed are delivered to a set schedule. We take care of the paperwork if you require Planning Permission and our service includes Trade Prices on many items including Bathrooms, Tiles and Flooring. Builders GB also has specialist custom furniture teams who can use the Lofts shape to install specially made Wardrobes. Customer satisfaction is what makes us the number one Building Company in the South West of London. A Loft Conversion in South West London is by far the cheaper alternative to gaining an extra room or two. Investing in a South West London Loft Conversion has the added benefit of being able to recoup any costs back with profits if and when you do decide to sell your property. 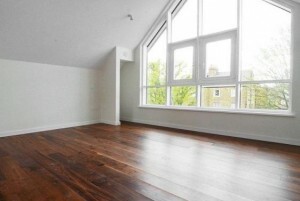 Nowadays a South West London Loft Conversion is seen as an investment opportunity. The South West of London is an area that has some of the best schools in London and it has easy access and good transport for people working in the City of London. Builders GB provide a complete service for all types of Loft Conversions. We help with everything as Builders GB is a Design and Build Specialist. Our work is is fully Guaranteed for 10 Years and we are one of a few companies that combine Structural Reports within our Projects. The reason why we do this is because any type of Structural Alteration to a property should be done right. This ensures a well built new structure and every support is individually designed for the home we convert or alter. Our methods are the safest and Builders GB is well known for building Loft Conversions in South London that are high in quality and design. A few years ago clients would prefer waiting for better weather before we started on their London Loft Conversions but overtime our clients do not mind what time of year we convert attic space into an Attic Conversion. As it goes families and households are growing and will continue to grow regardless of slumps in the economy and the additional obstacles in the way when applying for bank finance. Nevertheless people are clever in find a solution and they will weigh the odds and find a way to make that new extra space within their Loft.